Have you ever heard of “Longevity Insurance?” In short, longevity insurance is a relative new form of insurance that provides you with a guaranteed stream of income later in life, typically starting after you turn 85. To get longevity insurance, you have to make a substantial upfront payment 20 or so years earlier. Longevity insurance is really just a re-packaged, deferred annuity that’s targeted for retirement-age individuals who are concerned about whether or not they’ll outlive their savings. 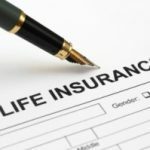 Because you typically give up any sort of death benefit or early withdrawal options with longevity insurance, however, the monthly benefit can be substantially better than a typical fixed annuity. However, unlike a typical deferred annuity (which offers a guaranteed minimum payout with the potential of receiving more depending on the performance of the stock and/or bond market), longevity insurance locks you in at a pre-determined rate no matter how well the stock and/or bond markets perform. This is really a good news, bad news situation in that you’ll receive a predictable benefit, but you’ll have to give up any sort of flexibility. The biggest downside? As with any insurance, you run the risk that you’ll end up paying for something that you’ll never need. 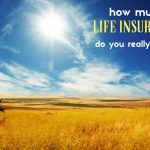 Given the current life expectancies of 65 year old men and women (they’re the target audience for longevity insurance), it’s questionable whether or not you’ll live long enough to see even a single check. In fact, if you don’t live well into your 90s, you’re not going to get your money’s worth. As with any annuity-based product, cost is also a concern – be sure to run the numbers and make sure you’re getting your money’s worth. Remember… You’re giving up part of your hard-earned nest egg for a future benefit that you may never receive. The obvious alternative to longevity insurance is to amass enough wealth during your earning years to be comfortable in retirement without having to worry about running out of money. The flip side is that having a guaranteed stream of income later in life potentially frees you up to invest more aggressively as you approach retirement (and beyond). As for us, we’re saving and investing aggressively, and have no intention of needing longevity insurance as a stopgap during our retirement years. Nonetheless, it’s still worth knowing that it’s out there. You miss one of the major points. If you live long enough to collect, other investments would have to perform very well to equal the return you would get from this product, since you will be sharing in the payments that others have made but didn’t live to collect. If you don’t live long enough then it doesn’t really matter, does it? In my case, I have no heirs and most people in my family live well into their 90s. It seems like a no brainer for me. Agree with the comments. I’d rather have enough savings not to worry about it. Kyle – loved your comment about the dog. Interesting, I did not know such a ting existed. Agree with the comments. I think the only one who could justify this is Leona Helmsley dog. Walt: Exactly. If you can afford to buy the policy, then you can afford to invest more. Really, all you’re buying in this case is peace of mind. Seems like one should consider taking that substantial payment, put it in a predictable product or investment vehicle the use the future account value to pay their own income. I guess the issue is one of self control… Americans can’t seem to avoid spending all their money as soon as its in hand today anyway!